With 2 wins and 2 losses in 4 matches, Rangpur Riders are placed at number 2 in the points table. The Riders have won 2 of their last 3 matches, losing their last match in a close encounter against Dhaka Dynamites. Rilee Rossouw has been scoring runs at the top with 2 half centuries in last 3 matches. While Chris Gayle hasn’t fired in last 2 innings, he would be keen to go after the Kings bowling at the top. When it comes to building partnerships, Rilee Rossouw is the key. He has been part of a hundred runs partnership twice in last 3 matches. He was supported by number 4 and number 5 batsmen in these partnerships. While the significant contributions from number 3, 4 and 5 batsmen are evident from the recent matches, the lower order’s vulnerability was exposed in the last match. From a stage where the Riders were cruising to victory with 7 wickets in hand, they lost 6 wickets in the 3.3 overs and saw the match slip away from their pockets. While the bowling has been top notch, with Sohag Gazi joining Shafiul Islam, Benny Howell and Mortaza in picking up crucial wickets, top order batting performances have been consistent. In a scenario, where the Riders lose their top order cheaply, lower order’s ability to finish games is yet to be tested. With 1 win and 2 losses, the Kings are 6th in points table. Before losing to Comilla Victorians in the last match, the Kings had defeated Khulna Titans registering their 1st win of the BPL 2018-19 season. It was only in their win over the Titans, when the Kings batsmen played confidently and the top order scored most of the runs. The shuffle in the batting order in their last match, with skipper Mehidy Hasan promoting himself to open the innings and playing M Hafeez at number 3 didn’t work out well. The Kings batting has struggled consistently to build partnerships in their innings whether it’s at the top, middle or lower down the order. 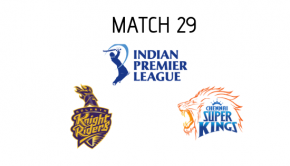 If they were to chase a modest total, the Kings batsmen would appear confident since they would know exactly how to pace their innings and cruise to victory with big partnerships at the top. Looking at the recent games, and how it has been difficult to chase anything above 150, Rajshahi Kings, with their current form would not be the favourites to win if they were bowling first against the Riders. Though, batting first would have it’s advantage on this pitch, Rajshahi Kings will have to outplay the Rangpur bowlers to put up a decent enough score to defend.